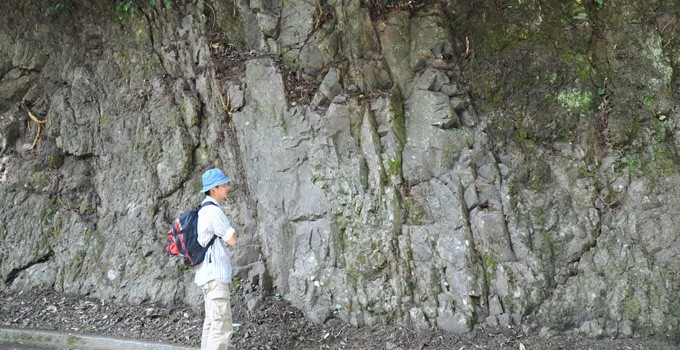 Most of the Nishina group of soil strata, which is the oldest strata found on the Izu Peninsula, is lava and subaqueous volcaniclastic flow ejected during the submarine volcanic phase. When low-viscosity lava flows down the sea bed, it forms a pillow like shape due to surface tension and rapid cooling upon water contact. This is called ‘pillow lava’. In Isshiki, you can seecross-sections of multi-layered pillow lava.